Is the Type 86 the New Supra? How fast can you really go? Is the new Type 86 the modern interpretation of the notorious Supra? 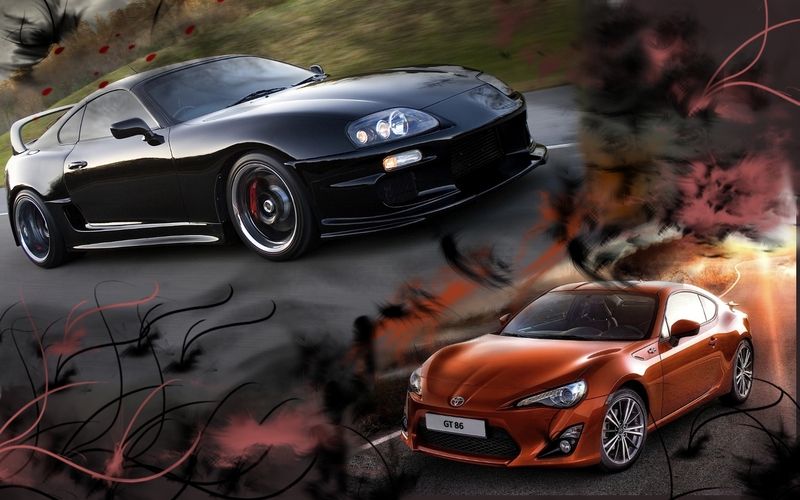 In order to juxtapose the two vehicles lets dig a bit deeper into what the supra was, and what it has become. Toyota was always known for producing cars that get you from point A to point B with as little finesse as possible. Toyota made cars that worked, their cars wouldn’t be jaw dropping on looks or neither would they be exhilarating to drive. They got the job done and that’s about it. So what was the supra? Circa 1987 Toyota’s main competitor was Nissan, and Nissan had something that Toyota didn’t. A “fun” car. Nissan had the (then Datsun) Z series. The Z series was a 2+2 sports coupe with a stick that suited the young teenagers of the late 80’s, so just like any competitor would do, Toyota tried to out do the competition, and there reply was the supra. The Supra was just like the Z, its was a 2+2 sports coupe with a stick. The supra that really caught on was the 4th generation Supra (Mark IV) the mark IV was born in 1992 and lasted in production for another decade. This generation came with a choice of either a N/A 2.9 liter inline 6 or a twin turbocharged variant. While the N/A models got a 5 speed the turbos would get a 6 speed. And of course a 4 speed automatic was also offered. The N/A output was 200 hp @ 5800 RPM and 210 lb-ft of torque at 4800 RPM. And as for the turbo version (American/European variant) that produced 320 healthy horses @ 5600 rpm and 315 lb-ft of torque @ 4000 RPM. Now that’s pretty powerful for a car from the 90’s. Now before we go on a bit further and see why the Supra was so famous, lets look back at the Type 86. The Type 86/Scion Fr-S/Subaru Brz is a joint production of Toyota and Subaru. Subaru’s side of the deal was to take care of the performance, and Toyota’s side of the deal was to take care of reliability, safety, and practicality. The main contribution that Subaru did was give the type 86 its famed boxer engine. This engine was just under 2 liters and has a boxer type (H type) configuration. This engine produces a weak 197 HP at a very high 7000 RPM and just enough torque to whiz past a Prius, 151 Lb-Ft at a once again high (which isn’t to great) 6600 RPM. But the one thing about this engine is that you can push it to its limits, and then a little bit more and your face will keep on grinning. The boxer engine is also world renowned for its very low center of gravity which drastically helps with the cars driving physics (handling and so on). Why would they sell such a weak car? One may ask, well that is because Toyota did not have a muscle car in mind, what they had in mind was a canyon carver and that is what they produced. So how would I dare compare the famous and comparably powerful Supra to this sheep in wolf’s clothing. Well that’s because I didn’t tell you guys what was the supra was known for. Well the Supra was the perfect starting line for tuners. It had a very strong and well built chassis, and it had a dream of an engine. It is not uncommon to find supra cranking out at least 500 horsepower. Lets compare between the Supra and Type 86. Both are engineered by Toyota. One check. Both have one heck of an engine. Two checks. Both have incredibly strong chassis. Three checks. Now that’s a good amount of checks. One may now look at the Type 86 a bit differently. Even though it is a bit of a slouch that just means that there is more room for after market turbos, brakes, and suspension components. And most of all there is room for tuners to dedicate their time to put into what they love most. Making cars go fast. Your walking down a street, and then all of a sudden you hear a loud escalating rumble, but by the time you turn your head, a menacing blur whizzes past you, at what seemed to be the speed of light. A day later you walk down the same street, but this time you hear a low, constant, thundering rumble, from experience, you turn your head fast so you can catch a glimpse of whatever is headed toward’s you, but this time you don’t see a blur, what you see is a pristine muscle car from the 60’s, but you cant put a name to it because your mind is still processing the beauty of the vehicle. But wait, what was that blur that whizzed past you the day before. Well that was the modern day interpretation of the old muscle car. 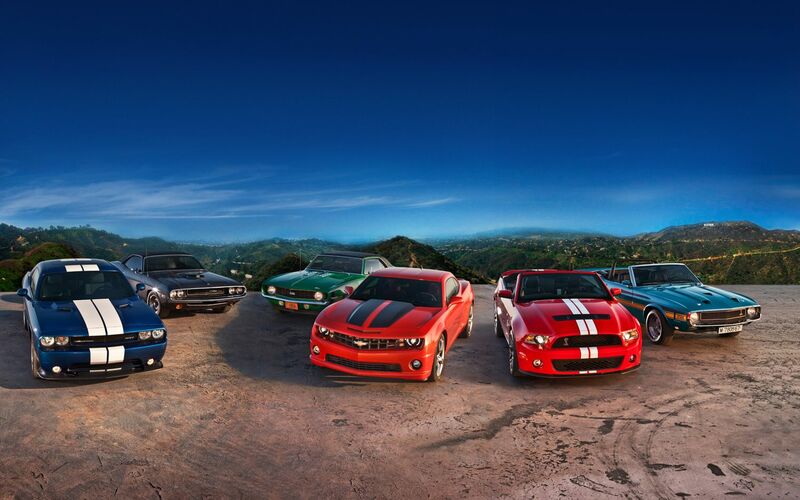 Muscle cars have come a long way from just being good looks, and loud noise makers. The modern day muscle car is now the car that is crakning out colossal amount’s of horsepower, but can still race around a track in civility (or terror depending on how you look at it). When the Mustangs first came out in 1964 they where an instant hit. By there first year anniversary, Ford sold nearly half a million cars. (418,812 to be exact) What was special about this car was that is was a first of its kind, there was no other vehicle on the market that had bucket seats and it was fun to drive. It was truly a pioneer in sport car history. 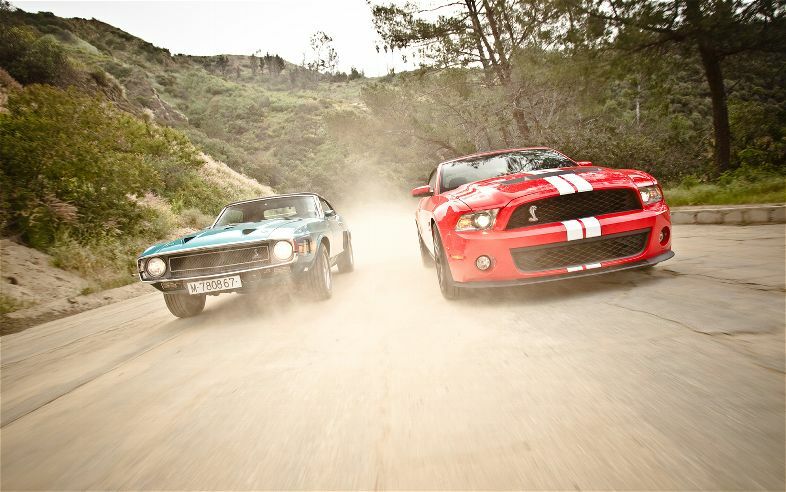 Back in its old school day’s Mustangs maxed out at no more than 320 horsepower, and making all that power (or lack of, compared to nowadays) reach the rear wheels, the driver would choose between a 3 speed manual or 4 speed manual/automatic transmission. Now how does this all relate to the modern day muscle car we call the mustang. It doesn’t. Other than the live rear axle that is still being used in modern day mustangs, every single thing has changed in mustangs, from safety, to looks, to performance. Nowadays the smallest displacement engine (the 3.7 liter V-6) produces just over 300 horsepower. That is only about 20 horsepower down from the most power-full mustang from back in the day. But forget about horsepower for a moment. So much modern day technology helps us put the power down to the ground. Whether it is a six speed transmission, or an advance traction control system. We can better use every single horsepower that is being outputted from the engine. Now how much power is, being outputted from these modern day engines? Well lets just say its a bit north of 550 horsepower and we are looking at a 100 unit jump in engine output in the coming years. When the decision of Old School or New School arises, the question of how fast can you really go, also comes to mind. Yes, some may say that the classics are better looking, and some may say that the modern day interpretations are better to live with and are quicker around a track. So yes, it does all boil down to. Hey, how fast can you really go? Welcome to Muscle Car Legacy everyone. This will be a blog written by me, Adir Hassid, and web designed by Jordan Banafsheha about everything that has to do with cars. Ex: Reviews, History, Polls, and Lessons/Explanations. So yeah that’s it for the first post wish us luck as we strive to become the next MotorTrend.